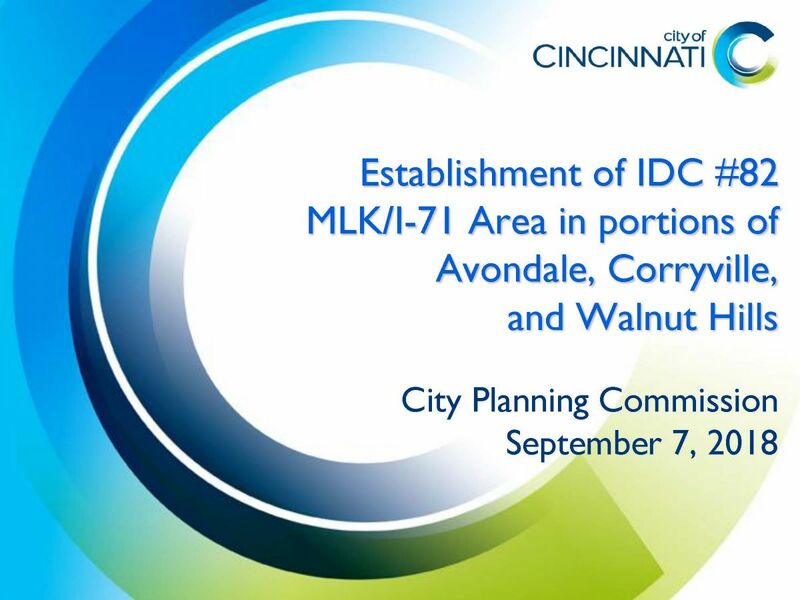 Interim Development District Around I-71/MLK Interchange - We Are Walnut Hills! Representatives from the City Planning Department will be at the WHAC meeting on Thursday, Sept 14 to explain the proposed Interim Development District (IDC82). They will describe its purpose and some protections that it affords. Information about the IDC and details for two proposed developments are linked below. Please review the attached PDFs prior to the meeting.